SYDNEY spent this year trying to eliminate bias from its recruiting in a bid to give the club an edge over rivals at draft time. Data, statistics or numbers – whichever phrase computes best with you – are becoming increasingly prevalent in sports worldwide, with the AFL frantically playing catch up. How footballers are rated has changed and can impact whether or not they are drafted and maybe even how much they are paid based on prognostications of where their career will head. Swans list manager Kinnear Beatson, one of the game's sharpest recruiters, is embracing the revolution and poached Chris Keane from Greater Western Sydney at the end of last year. Keane completed a statistics degree at RMIT University, crunched the numbers for netball team the Melbourne Vixens at the Victorian Institute of Sport then became an analyst at the Giants. He was most recently a Melbourne-based opposition analyst with GWS until newly promoted Beatson enticed him with a new role as Sydney's senior recruiting analyst. 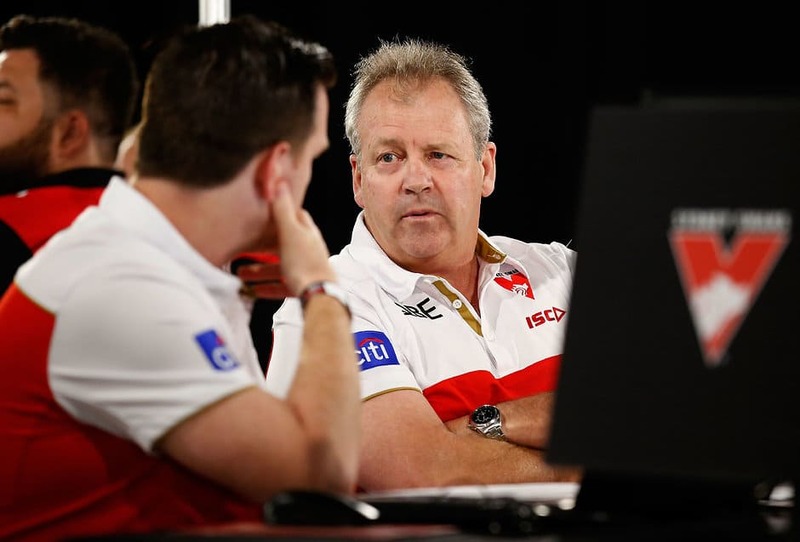 "My role, basically, is to cover all the analytics behind our future drafting, whether that be GPS or in-game performance (or) combine/athletic data," Keane told ex-Swans defender Ted Richards' podcast, The Richards Report. "Any data we get through to the club is my responsibility to go through and … make sure we're using that going forward, in terms of how we're projecting a kid into the future, and potentially drafting a kid as well." The association between numbers and sport was popularised in a 2003-released book Moneyball: The Art of Winning an Unfair Game based off baseball club Oakland's revolutionary approach to recruiting. The book became a hit movie in 2011, and the 'Moneyball' approach is now widely understood and no longer scorned in sporting circles. Even still, Keane had to win over naysayers, in the form of old-school recruiters not exposed to the advanced statistical way of thinking. He is tasked with developing algorithms that can hopefully find diamonds in the rough for Sydney, which is already an industry leader for its shrewd recruiting. "Kinnear, my manager, has openly said I'm at the footy club to challenge how (the Swans' recruiters) think and raise red flags on kids we might like," Keane said. "That's all based on numbers. A lot of times I'll spit out a few players and Kinnear will say, 'No, he can't play', which is fine, and I'll watch the tape and I'll say, 'Yeah, no, he can't play'. "It's a really interesting dynamic, because a lot of kids in South Australia and Western Australia; it's a different standard of footy to the TAC Cup (under-18 competition in Victoria)." Keane's challenge in that context is developing a model that enables him to accurately define the quality of a player's performance in different leagues and teams at varying levels. "You're trying to factor in, 'OK, this kid's done x at TAC Cup level and Player Y has done this in the WAFL, where there's less pressure, bigger grounds and better conditions'," he said. "There are all these factors that go into it, then determining the margin between the two and how we provide context between (them)." Sydney used data analysis to help form judgments on players during the NAB AFL Trade Period and ultimately recruited Ryan Clarke (North Melbourne) and Jackson Thurlow (Geelong).